Blended kombuchas are one of my favorite summertime treats, they taste like a sorbet but are also gut healthy due to the fermented tea (kombucha). 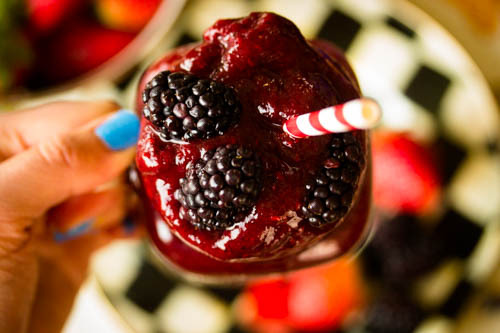 These recipes are so simple and versatile, basically just taking your favorite frozen fruit of choice and blending it with your favorite kombucha! The flavor combinations are endless depending on whatever ingredients you choose. You can even add in collagen powder for extra gut healing benefits! Here, I used Gingerberry kombucha and blended with mixed berries which is super refreshing on hot summer days! Hope you enjoy!